ADA (Americans With Disabilities Act) lawsuits are on the rise nationally, making ADA compliance even more important. Because of this, you want to make sure that you are hiring a professional paver that is extensively trained and highly knowledgeable in meeting regulations set by the Americans With Disabilities Act. 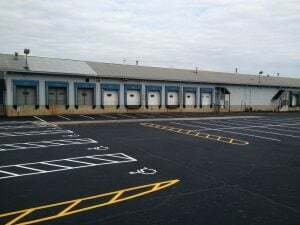 When you are restriping your parking lot, understanding and following the stipulations for accessible spaces and markings is key to avoid ADA violations that can lead to these lawsuits. Additionally, businesses or privately-owned facilities providing goods or services to clients have an obligation under ADA regulations to continually remove barriers to access when possible. 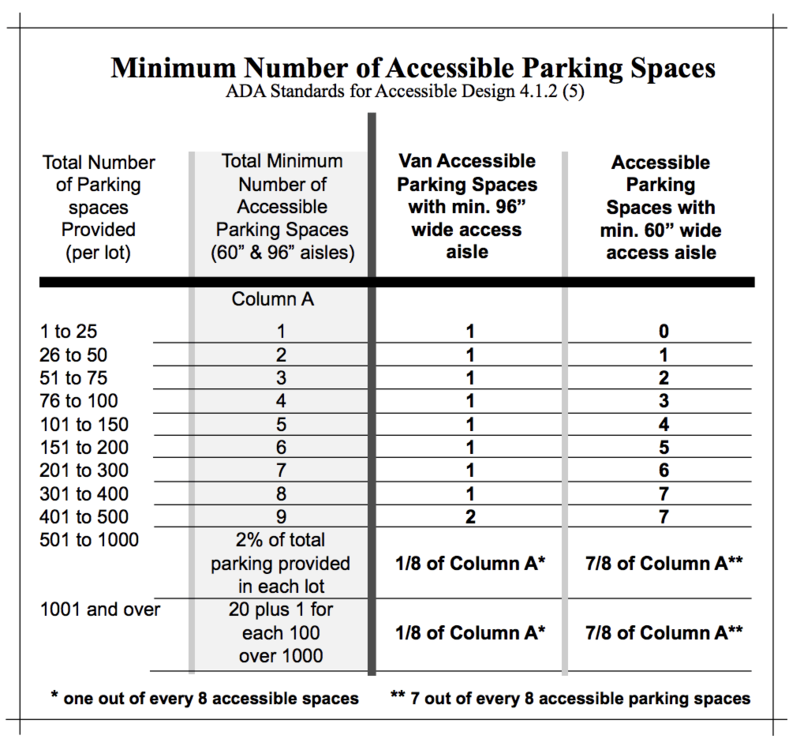 The ADA Design Guide sets guidelines on properly creating accessible car and van spaces, as well as number of spaces necessary, location of spaces, curbing specifications, walkways, ramps, etc. Accessible Parking Spaces For Cars – These spaces are required to have an access isle of at least 60 inches wide. This aisle must be placed adjacent to the designated parking space, and must be located on level ground. The regulations for access aisle are designed to allow for enough room for a person using a wheelchair to enter or exit a vehicle. The access aisle needs to be wider (96”), to accommodate a wheelchair lift. Proper vertical clearance within the parking space, the adjacent access aisle, and on the transportation route to and from the accessible space is required. Additional signage is needed to identify the space as “van accessible”. 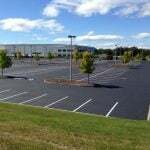 There is also a minimum requirement for number of accessible space per parking lot for both van and car spaces. See the below chart from www.ada.gov. All accessible spaces must be located on the shortest accessible route of travel to an accessible building entrance. When there are multiple accessible entrances, the parking spaces must also be evenly dispersed to achieve a location that is closest to each entrance. 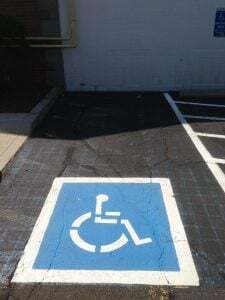 When adding accessible spaces to an existing lot (during your restriping project), spots must be located on level ground, and within the proper location to entrance as indicated above. All accessible spaces must by properly marked. Signage must include the International Symbol of Accessibility (ISA). Signs must be at least 60” high, and can be on a post or suspended from ceilings. Parking spaces and access aisles must be marked. Regulations will differ by area. The running slope of the sidewalk that is a part of the accessible route must be less than 5% slope. An accessible route never has curbs or stairs, and is always at least 3 feet wide. 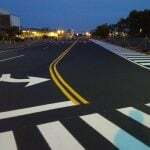 The surface of the route should be firm, slip resistant, and stable. The slope throughout the route should never be more than 1:12 in the path of travel. 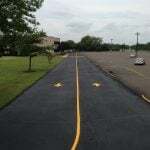 Hiring a professional for your parking lot restriping project that is well versed in required ADA regulations is key in protecting yourself from expensive and time-consuming lawsuits. It is important to make sure that your professional paver is knowledgeable in the specific town or city that your lot is in, as requirements will vary for each. 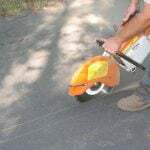 When hiring EastCoat Pavement Services, you can feel confident that we’ve got you covered, because we are extensively trained on these regulations in all towns we work in. Contact us today for your free consultation, and avoid the consequences associated with ADA violations!